An orthodontic retainer is often required when you complete a tooth-straightening treatment. 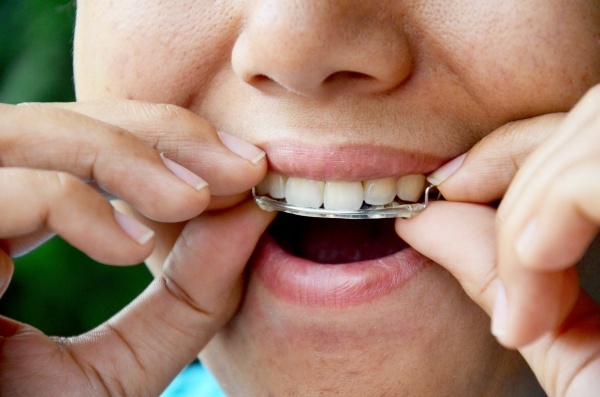 Using your retainer goes a long way when it comes to keeping newly-aligned teeth in their proper position. It is an effective way to ensure the results of an orthodontic treatment last a lifetime. A retainer can be fitted by a general dentist or an orthodontist. It is typically installed by the oral professional who performed the tooth-straightening treatment. It is created similarly to the way braces are — an impression or scan of the patient's teeth is taken and that information is used to fabricate a customized retainer. This is usually done in a dental lab. Once the retainer is ready, the dentist will insert it into the patient's mouth. Retainers are often used for several years after an orthodontic treatment, but some patients have to use them of an indefinite period of time. Some types of retainers are removable, while others are fixed. The type used often depends on the severity of the treatment the patient just received, as well as the patient's preference. The dentist will likely use fixed retainers for young people who are less likely to wear the retainers as recommended. The most common type of fixed retainer is a thin wire that is attached to the back of the lower and upper teeth. It is usually held in place with dental cement. Given how the wire stretches across several teeth, patients wearing this device will need a floss threader to effectively clean the spaces between their teeth. Despite making it harder to clean teeth, this type of retainer is often recommended by dentists since it keeps the teeth perfectly aligned throughout the day. It is a great choice for anyone who has undergone extensive orthodontic treatments. These devices usually have a combination of wires that stretch across the upper and lower front teeth. Instead of being held in place with dental cement, these devices are held down with hooks that go around the back teeth and keep it secured. Since it is removable, patients can simply remove it when it is time to clean their teeth. Patients are advised to wear these retainers as much as possible after finishing their orthodontic treatment. That means going to sleep with the retainer as well. After the patient's teeth have been stabilized in their new position, the dentist might instruct the patient to only wear it at night or daytime. The main drawback of removable retainers is the fact they can be easily misplaced or lost. Getting a replacement can easily cost a person a few hundred dollars. Patients should see their dentist as instructed when wearing retainers. It gives the dentist a chance to look for cavities and to clean the person's teeth. It also gives the dentist a chance to inspect the retainer and ensure it is in good condition. As far as home care goes, toothpaste should never be used to clean a retainer. Instead, use a denture cleaner or mouthwash. Want to learn more about retainers? Schedule a consultation with one of our dentists today. For more information or to schedule an appointment with Brookside Orthodontics, request an appointment in our Stockton dental office here: https://www.brooksideorthodontics.com. Or call us at (209) 732-1124. « What are Examples of Serious Orthodontic Issues?